← How to convert documents of OpenOffice to JNG? With PDFcamp Pro, you can easily print bmp to pdf within several seconds. 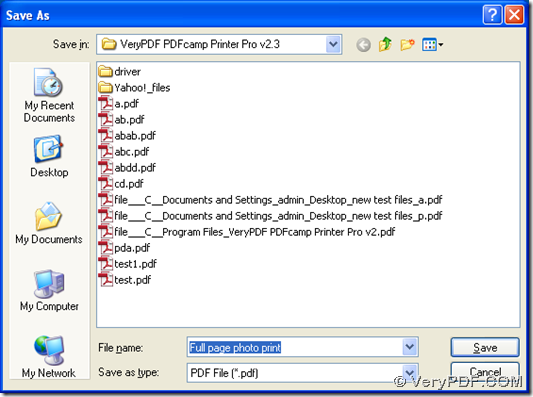 Here is the download link of PDFcamp Printer Pro: http://www.verypdf.com/pdfcamp/pdfcamp_enterprise.exe, click this link, you can download the program of PDFcamp Printer Pro, then install it by the way of double-clicking it, and next, you can follow the steps below to print bmp file to pdf file with PDFcamp Printer Pro. 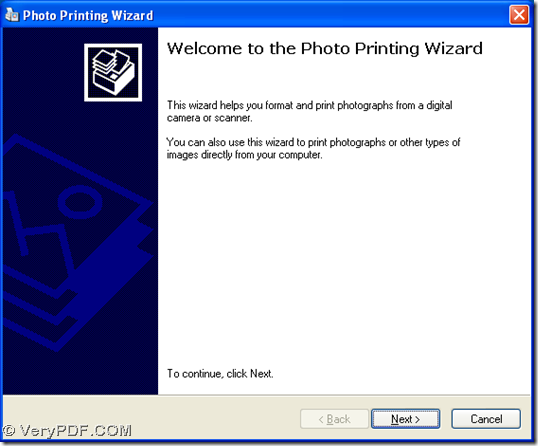 To print bmp file to pdf file, you can use the virtual printer of PDFcamp Printer. First, you need to open a bmp file in your computer, then you should click “Ctrl + P” to open the print wizard of photos. Then, you need to follow the wizard to select “PDFcamp Printer”, then continue to follow the wizard to save the pdf file by selecting a destination folder and clicking “Save”, then you can get the objective pdf file in the destination folder later. 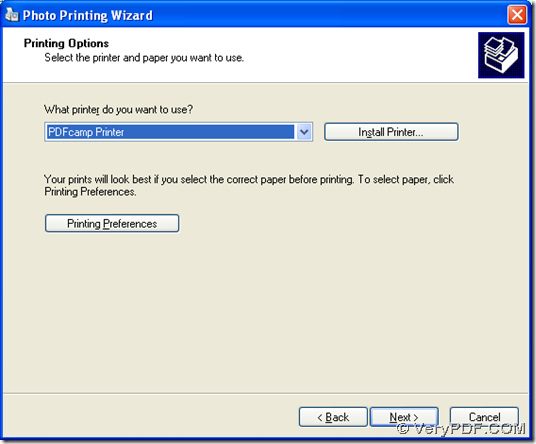 If you are familiar with the method above, there is another basic version of PDFcamp Printer, which you can choose to use to print bmp to pdf with the same method like above, which is still to use the virtual printer. 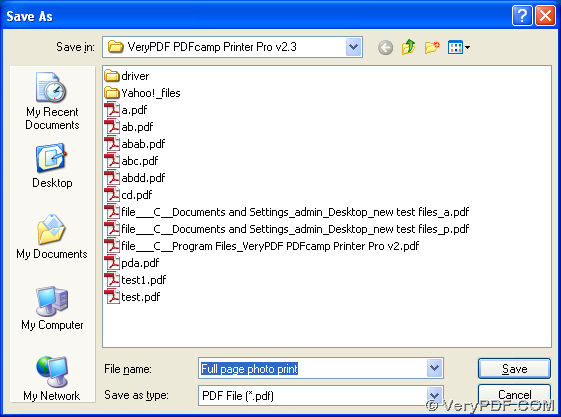 You can download it from this link: http://www.verypdf.com/pdfcamp/pdfcamp_setup.exe, then if you want to buy PDFcamp Printer Pro, you can click this link: http://www.verypdf.com/order_pdfcamppro.html; if you want to buy the basic version of PDFcamp Printer, please click this link: http://www.verypdf.com/order_pdfcamp.html. 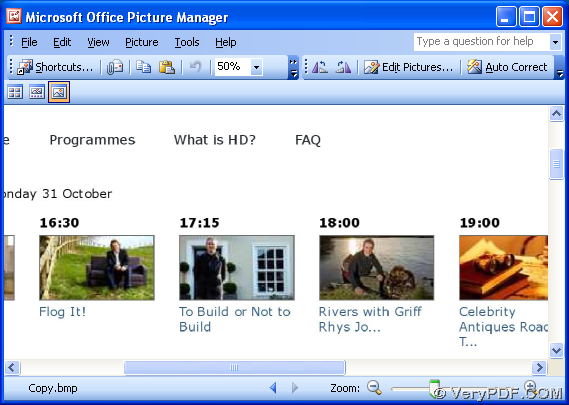 How to copy the content in BMP file? How to print CGM to PDF file? This entry was posted in PDFcamp Printer and tagged bmp to pdf. Bookmark the permalink.